It was only when I got home from my meandering along Middle Street in Brighton the other day that I realised I had walked past one building without it registering on my radar at all. Middle Street School is a fairly new building (rebuilt in around 1974) but more or less on the same site as the old school. In the Directories and England Census’s it is named ‘Union School’ which was built in 1805. 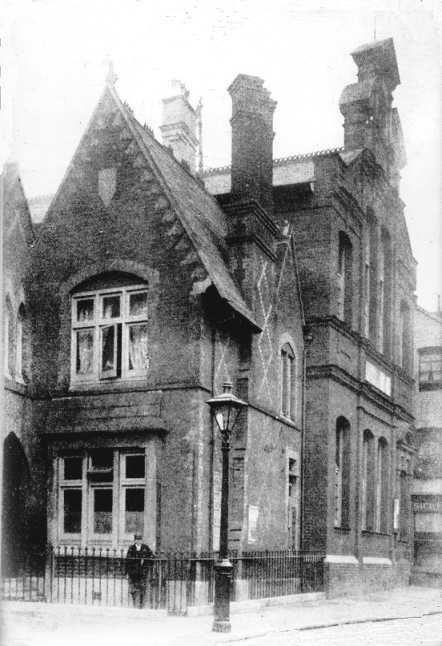 The Dinnis family lived in Middle Street and later in Ship Street from around 1837 – 1871. I imagine I am correct in assuming the Dinnis children – Catherine Ann, John Henry, Fanny, Harry, Charlotte Harriet and George would have attended their local school. There was another school in Church Street, not so near but still within walking distance. Catherine Ann Dinnis was the eldest child in the family and was born in 1837. I don’t know what age she would have begun attending school, but at around that time there were some well-known names on the school register. One of these was John Wisden, a famous name in the sport of cricket. 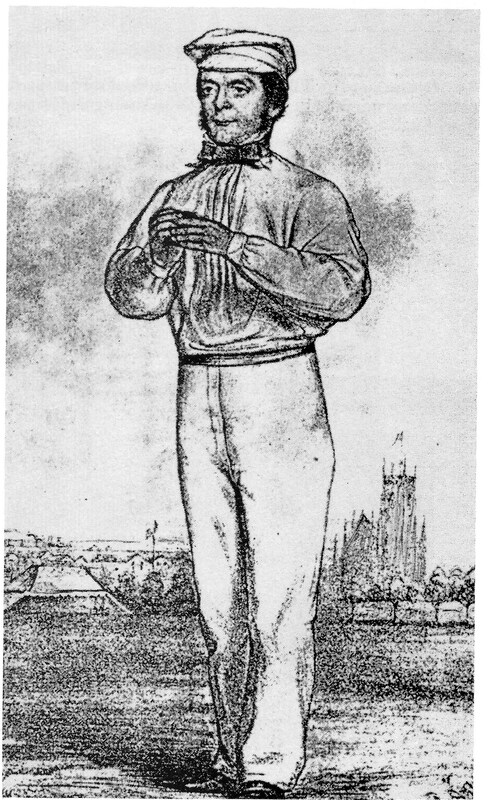 He made his first appearance for Sussex in 1846, and became a pupil at the Union Schools in 1837 aged 11. Wisden founded the ‘Wisden Cricketers Almanac’ in 1864 and it still bears his name. A first edition can now fetch up to £25,000 – I wonder if the Dinnis’s bought a copy back then? It cost one shilling. elder brother Robert in June, 1836. There was a famous fight between Sayers and Heenan (a claimant to the American Heavyweight title), which has been described as ‘the first world championship boxing match’ and was certainly one of the last great prize-fights without gloves. 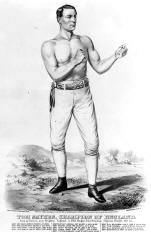 Tom Sayers was the English champion and had defended his title successfully four times. This entry was posted in Catherine Ann Dinnis, Charlotte Harriet Dinnis, Fanny Dinnis, George Dinnis, Harry Dinnis, John Henry Dinnis and tagged Brighton, Family History, History, Middle Street, Middle Street school, Ship Street. Bookmark the permalink.